Eckhorn 18 AOS-Plus is a three way floorstanding speaker. 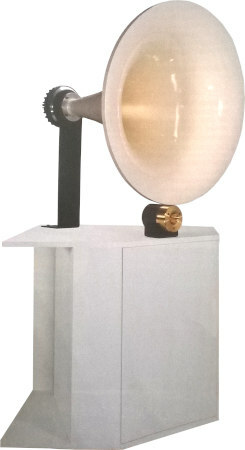 Eckhorn 18 AOS-Plus is a horn loudspeaker with drivers of Fostex, BMS and Mivoc. At medium volume, i.e. 90 dB at 1 m, the nonlinear distortions are below 1,2% above 200 Hz. Additionally you need a 6 channel amplifier.